Have you ever known your number is up? Seen the cops charging towards you with batons in hand? Well this Android app is for you. Inspired by the Occupy Wall Street movement. The Occupy Wall Street protest sweeping the world have inspired the development of a new Android app, which can be used to let people know when you've been arrested. 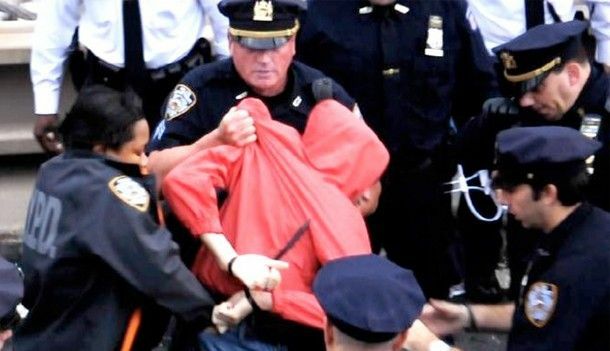 The 'I'm Getting Arrested' app was inspired by increased police action against the demonstrators lining the financial capital in New York who're protesting, in their thousands, against economic greed. The app works by allowing you to create custom messages to your nearest and dearest, and indeed your lawyer, and then when the cops swoop in for the arrest you can quickly press a bullseye on your handset and the message will instantly be sent to those people. So, effectively, the app is another mass text messaging service, but the sentiment behind it sort of sticks it to the man a little more. Developer Quardrant 2 says and on Android Market page: "Inspired by a real Occupy Wall Street incident. Free to the other 99%." The I'm Getting Arrested app is free to download from the Android Market now.